Sarralbe is a town in the Department of the Moselle, close to the German border. 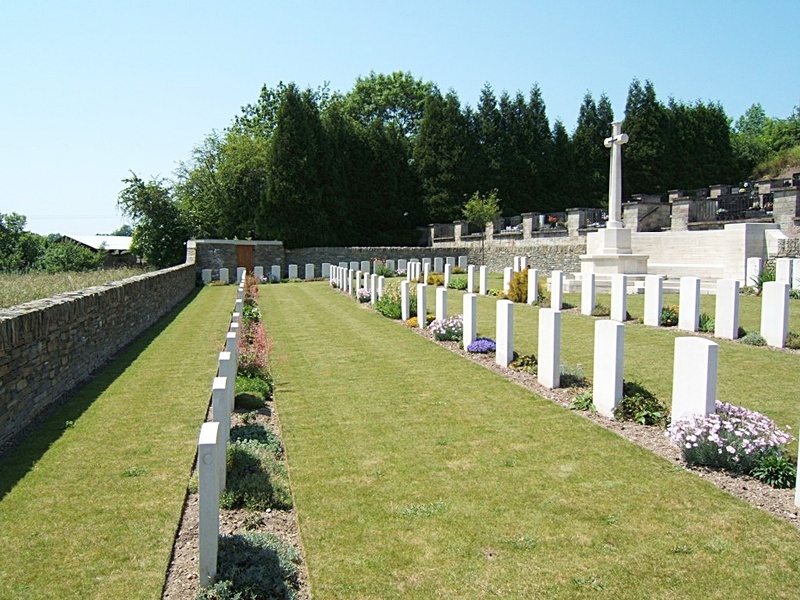 The CWGC cemetery is in front of the civil cemetery which is located to the south-west of the town of Sarralbe. Sarralbe Military Cemetery is best reached from the main road Richeling-Sarralbe N.56. The cemetery lies on the right hand side of the D.156 which is reached by taking a right turn off the N.56 before entering the town of Sarralbe. 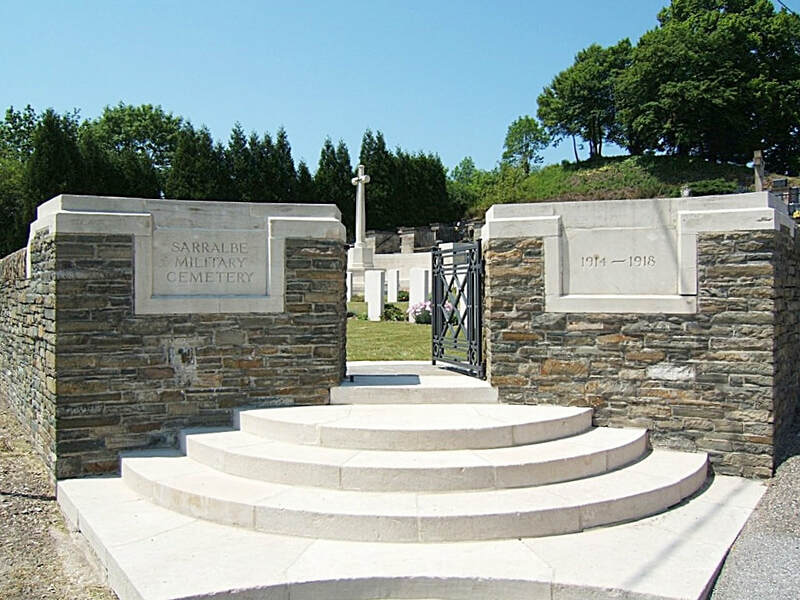 Sarralbe Military Cemetery was begun by the Germans but now contains only the graves of Commonwealth soldiers who died as prisoners of war. The cemetery contains 94 Commonwealth burials of the First World War, three of which are unidentified. 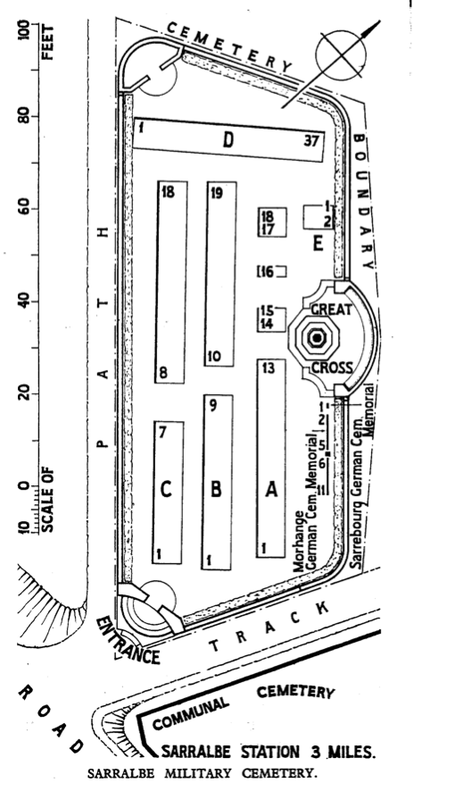 Sixty-three of the graves were brought from Haboudange Communal Cemetery German Extension, Morhange, Plaine-de-Walsch, Sarrebourg, Sarreguemines and Saverne (Zabern) Military Cemeteries and Czersk and Furstenfeldbruck Prisoners of War Cemeteries. There are special memorials 11 casualties buried at Morhange and Sarrebourg whose graves could not be found. Casualty Details: UK 106, Canada 1, Total Burials: 107.